Last fall the second annual Lausanne Catholic-Evangelical Conversation took place at Mundelein Seminary in Illinois. 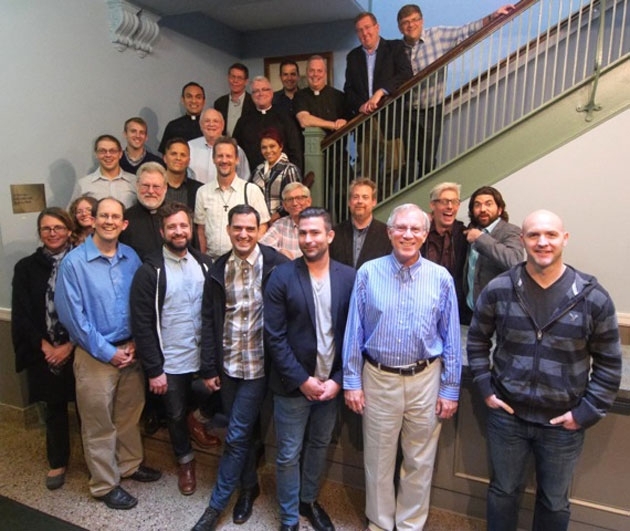 Twenty-six people, half of whom were from the Catholic Church and half of whom were from evangelical Protestant communities, joined together for a two-plus day dialogue. The opening evening included a public event that was recorded and can be seen on the ACT3 Network site. The 2013 event is also posted as a video on the same website. Except for this one public meeting on the opening night the dialogue was intentionally informal and private. One of the greatest takeaways was our friendships and open conversation. We do not seek to solve direct problems (per se) or to write a major ecumenical paper. Our goal was to build trust and ask questions in a conversation of genuine love. We believe this is not the only way to address our present disunity but it is a major way, if not the best and first way. If love unites us in Christ then we must seek to experience this love together. This event allowed this to happen. Following this gathering we wrote an account of our dialogue. This is not a “formal” ecumenical document approved by any church or agency. It is, I believe, an interesting account of what happened over the course of a few days. Today I publish the first part of this Lausanne Report 2014. Over the next two days I will publish the entire document and make more comments. The dialogue following Dr. Norberto Saracco’s “Pope Francis and the Unity of the Church in Mission” and Fr. Robert Barron’s “Pope Francis and the Evangelicals” suggested an opening opportunity for dialogue. How can we move from what Fr. Barron called “Ecumenism 1.0,” the openness and mutual esteem that makes the Lausanne Catholic-Evangelical Conversation possible, to “Ecumenism 2.0,” an open and frank discussion of what we hold in common, and where we differ? Both ecclesial communities (Catholic and Protestant) share a love for Sacred Scripture, prayer, and service. The various churches bring particular strengths to the Christian mission. The ecclesial communities that we call “evangelical” have a charism for declaring the joyful good news. The Catholic Church has a charism for catechesis, formation, and liturgy. Likewise, each has a hunger for what the other does well—Evangelicals for formation and liturgy; Catholics for presenting the kerygma as joyful good news. Timothy DeYoung liked this on Facebook.